Let us discuss the two changes, first the one about optional font packages: Till the last release the TeX Live package texlive-fonts-extra depended on a long list of font-* packages, which did amount to a considerable download and install size. There was a reason for this: TeX documents using these fonts via file name use kpathsea, so there are links from the texmf-dist tree to the actual font files. To ensure that these links are not dangling, the font packages were a unconditional dependency. But current LaTeX packages allow to lookup fonts not only via file name, but also via font name using fontconfig library. Although this is a suboptimal solution due to the inconsistencies and bugs of the fontconfig library (OsF and Expert font sets are a typical example of fonts that throw fontconfig into despair), it allows the use of fonts outside the TEXMF trees. With these changes in place, users can decide to only install the TeX Live packages they need, and leave out texlive-fonts-extra-links and install only those fonts they actually need. This is in particular of interest for the build dependencies which will shrink considerably. The other change we have implemented in this release is a long requested, but always by me rejected one, namely the demotion of -doc packages to suggestions instead of recommendations. The texlive-*-doc packages are at times rather big, and with the default setup to install recommendations this induced a sharp rise in disc/download volume when installing TeX Live. By demoting the -doc packages to suggests they will not be automatically installed. I am still not convinced that this is a good solution, mostly due to two reasons: (i) people will cry out about missing documentation, and (ii) it is gray terrain in license terms, due to the requirement of several packages that code and docs are distributed together. Due to the above two reasons I might revert this change in future, but for now let us see how it goes. animate, arabluatex, babel, beamer, beuron, biber, bidi, bookcover, calxxxx-yyyy, comprehensive, csplain, fira, fontools, glossaries-extra, graphics-def, libertine, luamplib, markdown, mathtools, mcf2graph, media9, modernposter, mpostinl, pdftools, poemscol, pst-geo, pstricks, reledmac, scsnowman, sesstime, skak, tex4ht, tikz-kalender, translator, unicode-math, xassoccnt, xcntperchap, xdvi, xepersian, xsavebox, xurl, ycbook, zhlipsum. 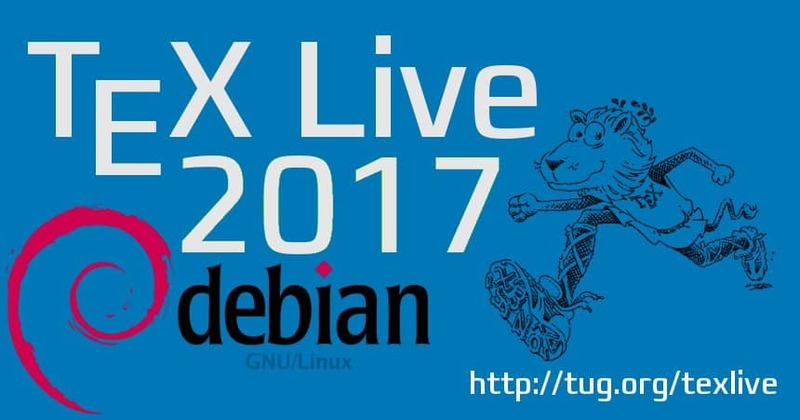 `texlive-fonts-extra-links` isn’t in sid; how should it be handled? Read my comment at the end, because it is new it has to pass through ftp-masters. How long this takes only the Gods know.